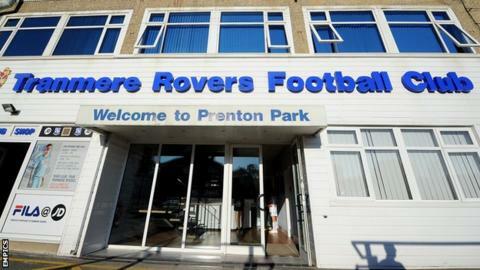 Football League clubs have voted to increase the parachute payments made to clubs relegated to the National League. The new payments will come into effect for the 2016-17 season. The two clubs relegated currently receive 50% of the equivalent Basic Award payment to League Two clubs. From next season this will change to 100% in the first year following relegation and then 50% of the equivalent Basic Award payment, unless a club is promoted back to League Two. "In recent seasons we've seen a number of clubs suffer severe financial trauma following relegation from The Football League and in some cases fold altogether," said Football League chief executive Shaun Harvey. Clubs also voted to amend the existing parachute payment regulations within The Football League which will see those relegated from the Championship receive 11.1% of the Basic Award payment to Championship clubs for one season. Clubs relegated from League One will also receive 12.6% of the Basic Award payment for one season.